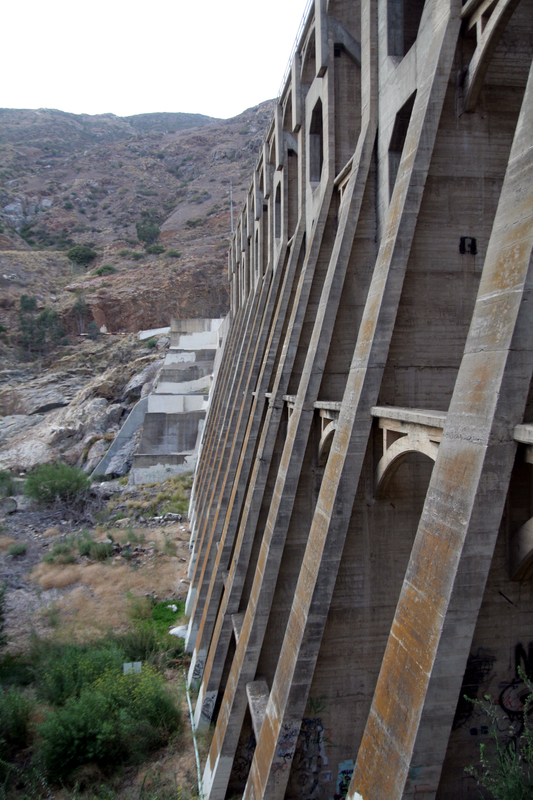 Lake Hodges Dam is a multiple-arch dam that sits on the San Dieguito River south of Escondido. It was commissioned by the Volcan Water Company and designed by John S. Eastwood. The structure was completed in 1918 and later purchased by the city of San Diego. Water from the Lake Hodges Reservoir services the customers of the Santa Fe Irrigation District and the San Dieguito Water District. Personal Experience: The interior of Lake Hodges Dam is being covered in Reviewer for historical reference. People are not encouraged to actually explore it. This site is very dangerous and one could suffer serious injury or death by visiting it. 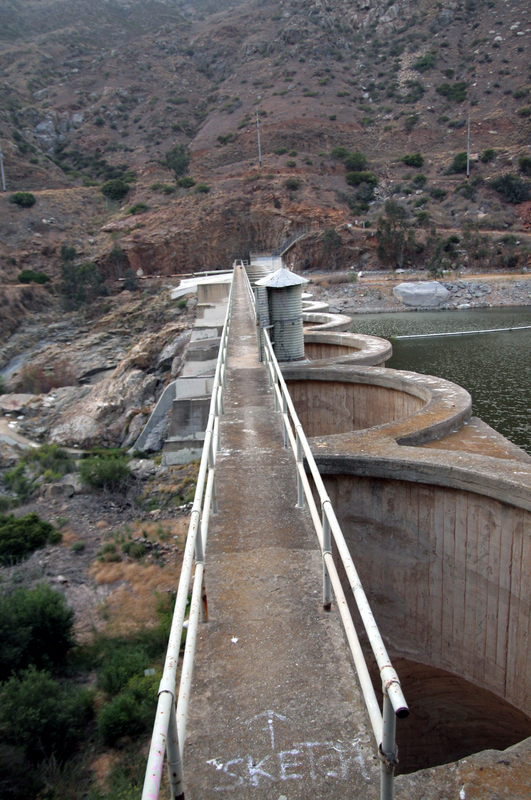 Access to Lake Hodges Dam is also restricted and trespassing is strictly prohibited. With that said, let the photos on page 11 (inside back cover) speak for themselves. Jessica Johnson: Growing up in Rancho Bernardo I would drive by the dam on a regular basis. I had heard many stories of the surrounding area and how mighty it (Lake Hodges Dam) was up close but for some reason never found the time to explore it myself. When I finally made it there I was completely blown away by the enormity of it. It towered above us like an intimidating beast. 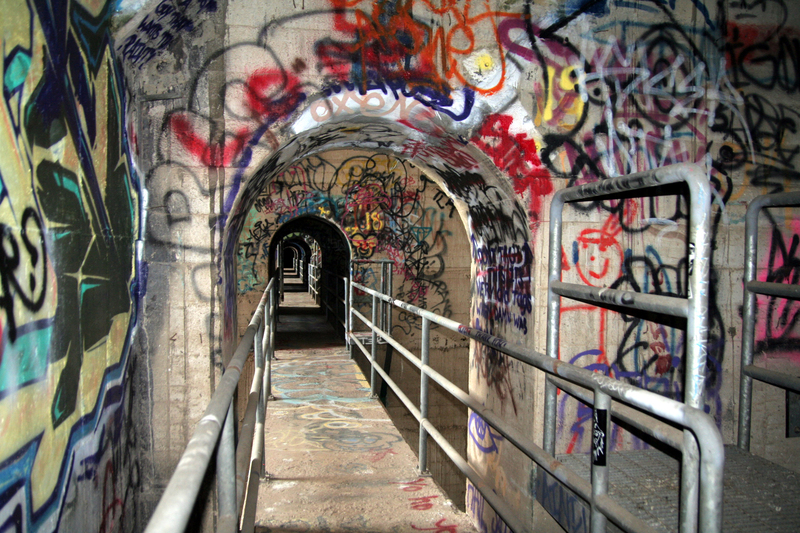 We were lured in by multiple tunnels that were covered with graffiti art and messages. This place is obviously “no trespassing” because of how dangerous it is. You could get seriously injured, fall or die. Appreciate the photos we have taken and know you are entering a danger zone if you choose to go. Reviewer Rob: OK, I know that it’s posted with no trespassing signs, but I find it astonishing that they (the city or Homeland Security) don’t secure the site in order to discourage vandals and possible saboteurs. 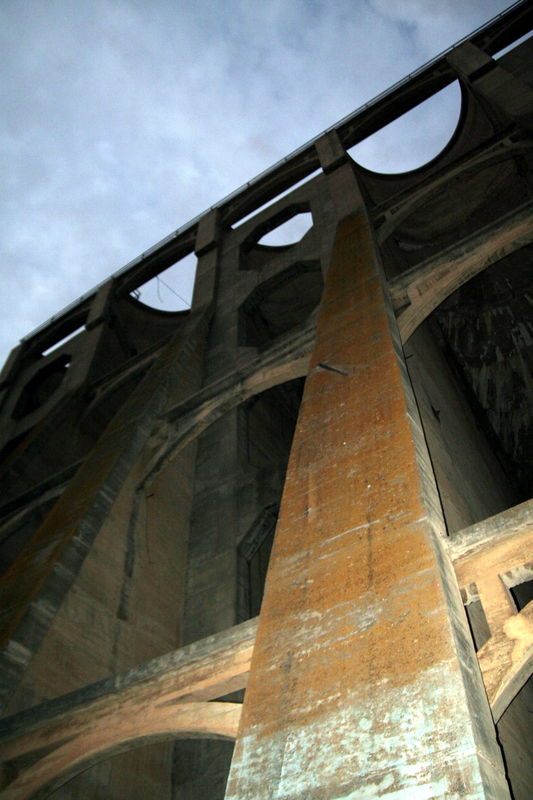 How did you find a way inside the structure of the dam itself? Jessica Johnson: The entrances are everywhere. you just walk up to it. Lake Hodges is open for fishing and boating on a Wednesday, Saturday and Sunday schedule from one-half hour before sunrise to sunset. Lake Hodges closes October 31 and reopens in February. Rental boats are available all three days. Hodges rents rowboats, motor boats, single and double person kayaks. Private boats, including, kayaks, canoes, sailboats and float tubes are also allowed all three days. Maximum speed limit is 35 mph. For more information, visit the City of San Diego’s website. Previous Previous post: The New San Diego Reviewer in PRINT!